Showings Start 2/17 @ 1 pm. VPR $300, 000-$325, 000. 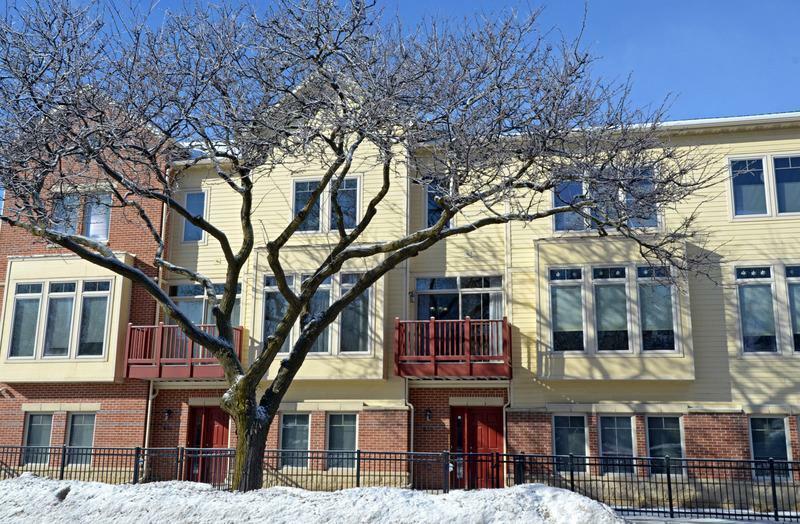 Beautiful 2 bedroom, 2 1/2 bath town home condo featuring 9 ft ceilings, maple hardwood floors, gourmet kitchen with solid surface counters, Stainless Steel appliances. Large master bedroom with vaulted ceilings and generous walk-in closet, master bath features large vanity & tiled shower. Two balconies - enjoy your grilled favorites! Exposed LL features a home office or guest area. Attached 2 car garage w/extra storage. Premium location just steps to Hilldale Shops, Restaurants, Target, Sundance, close to Whole Foods, UW Campus & Hospital & more! Items Included: Range/Oven, Refrigerator, Dishwasher, Microwave, Disposal, Washer, Dryer.